Illinois—and Chicago in particular, as the “Big Apple of the Midwest”—has long been a hub for newcomers to the country. In 1870, 48 percent of Chicago’s population was foreign-born, a larger proportion than any other city in North America, with waves of arrivals from Germany and Ireland, followed later by those from Italy, Russia, and the Slavic region. 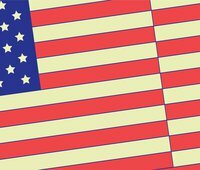 Today, the state’s foreign-born demographics continue to grow and shift. Across the region, recent immigrants from Asia and Latin America have helped offset population loss from native-born residents, providing “a demographic lifeline,” as a recent report from the Chicago Council on Global Affairs described. In October 2017, new census data showed Latinos, mostly of Mexican descent, had become the largest minority group in the Chicago metropolitan area, constituting nearly one-third of its population. At the same time, in addition to their dominant presence within city lines, new Latino immigrant enclaves in surrounding and downstate suburbs are growing rapidly. Reflective of these demographics, Illinois has become home to the fifth-largest population of K–12 English learners (ELs) in the U.S. About one in ten students in the state are classified as EL, a figure that has grown 83 percent over the last 15 years. Thirty percent of ELs attend school in Chicago and 60 percent in the Windy City’s suburbs. The vast majority speak Spanish as their native language (80 percent), followed by Arabic (3 percent), Polish (3 percent), and Urdu (1 percent), and are concentrated in the early years, 60 percent enrolled in grades PreK–3. Illinois’ story illustrates trends playing out in school communities across the country as migration patterns change and immigrants start or settle their families in new areas. Some communities, most dramatically in the Southeast and other parts of the Midwest, are dealing with ELs for the first time. Others have a long history of trying to serve ELs but have struggled to do so equitably. In Illinois, both of these realities are simultaneously at play. Now, federal policy is reshaping how public education systems must respond to these learners. In light of the latest reauthorization of federal K–12 education law under the Every Student Succeeds Act (ESSA) of 2015, state leaders face increased autonomy and decision-making related to EL students. Moving the core of EL accountability from the law’s Title III to more heavily-funded Title I has increased the visibility of EL data collection, reporting, and use in accountability systems to flag the lowest-performing schools for ELs. Illinois’ state plan for ESSA was approved in late August 2017 by the U.S. Department of Education. The state’s ideas on English learner data metrics and reporting, in particular, represent a bright spot in the national context. There is a host of compelling, research-based strengths to commend, even as other components could benefit from further refinement and consideration. To a large extent, the strengths of Illinois’ proposed EL data policies under ESSA reflect an active, rooted community of advocacy and community-based groups. In particular, with limited staffing capacity, the Illinois State Board of Education (ISBE) leveraged a key partnership with the Latino Policy Forum, a Chicago-based non-profit organization, who helped advise on EL decision-making. The state’s ESSA efforts for ELs also received a boost with the hire of Libia Gil, former head of the federal Office of English Language Acquisition, who joined ISBE as its chief education officer in April 2017. Overall, Illinois’ approach to EL issues represents a compelling example of trying to navigate data quandaries thoughtfully with a commitment to elevating ELs as a historically marginalized group. EL data issues are complex, context-dependent, and—as with data and accountability decisions in general—representative of a set of inherent trade-offs. There is not one clearly-lit, prescriptive approach to follow. 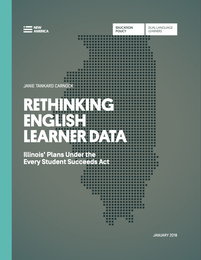 Rethinking English Learner Data: Illinois’ Plans Under the Every Student Succeeds Act is an analysis of Illinois’ strengths and shortcomings with EL data, structured around a five-point framework from a recent New America report. It aims to illustrate one example that leaders in other states can use as a touchstone for their own EL-related plans under ESSA.